? 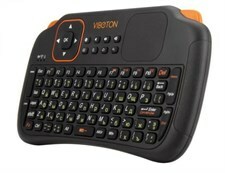 83keys, 2.4GHz wireless Keyboard with Touchpad.
? Built-in high sensitive smart touchpad with 360-degree flip design.
? 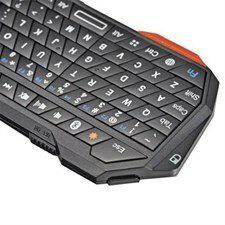 Mini QWERTY keyboard with multimedia control keys and PC gaming control keys.
? Auto sleep and auto wake mode.
? Build-in removable rechargable Li-ion battery that has longer standby time.
? 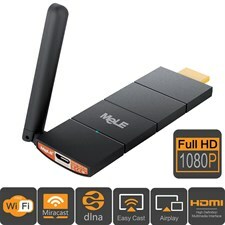 Perfect for PC, Pad, Andriod / Google TV Box, Xbox360, PS3, HTPC / IPTV, etc.
? Innovative shape, protable, elegant.
? The ergonomically handheld design is easy to carry and operate. This wireless Bluetooth keyboard is super slim, light weight & convenient for carrying around. 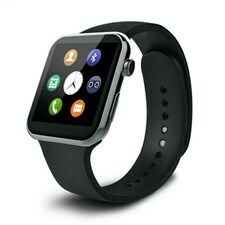 With built-in rechargeable lithium battery and unique auto sleep & wake functions, it is perfect for Bluetooth enabled devices. Back lit for operation in dark room. Real touch pad: ultra sensitive and multi-touch. 3 in 1 function: keyboard, mouse and touch pad. The LED indicators are designed for signal of pairing status, battery indicator, caps, lock status, etc. Unique design with jumping piano keys, brilliant craftsmanship that perfects every detail. The RK3328 with quad-core ARM Cortex-A53 processor and Mali-450MP2, is the most cost-effective chip for high-end TV box in 2017 absolutely. And USB 3.0 can transfer large capacity files (like HD movies) fast (10 times as USB 2.0). With 4GB of RAM memory, fast response and no break. It runs on the Android 7.1 , you can download app from Android market / Appstore, etc. 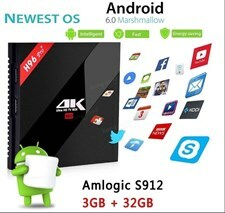 H96 MAX H2 is based on the Android 7.1 OS, with high speed and smooth, designed to turn your regular TV into a smart one. 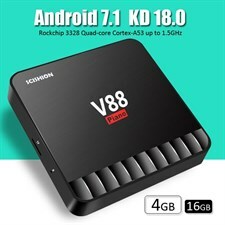 H96 MAX H2 is one of the first models that comes equipped with Rockchip RK3328, the latest Rockchip SoC unveiled in the Janurary CES. 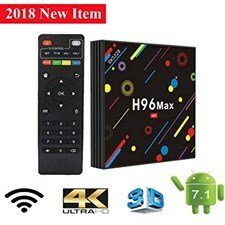 With the latest RK3328 SoC loaded, H96 MAX H2 will be able to play 4K videos with H.265, H.264 and VP9 codecs, other than that, it features HDR, HDMI 2.0, USB 3.0 to say a few. It is configured with 4GB memory and 32GB of storage space, advantageous in performance, security and reliability, ascribing to the eMMC memory, ultimately delivering a richer end-user experience.